Devote more time to decoration and presentation of your cakes. Like the Intermediate Cuisine program, Intermediate Pastry is based on practice and repetition. As you begin to master important techniques, such as making a sponge cake or a Bavarian cream cake, your proficiency will allow you to focus on the decoration and presentation of your cakes. You will also be introduced to the basics of chocolate making, such as tempering and dipping, using caramel and nougatine, and preparing restaurant-style desserts. 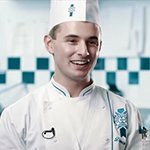 Intermediate Pastry is the second step followed by superior in completing your Diplôme de Pâtisserie. 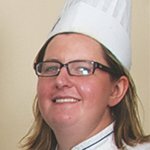 This course is designed for individuals who want to be employed as an assistant bakery/pastry chef or commis bakery/pastry chef in a hospitality/catering operation. The course has been developed in accordance with the National Occupational skills and industry standards. 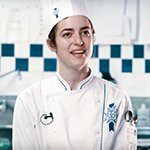 This course will develop the skills, attitude and knowledge associated with Intermediate French bakery/pastry techniques and to acquire the related values to work as a professional in either the commercial, industrial or retail catering industry, commercial kitchens, hotels, or restaurants.